Manila,Philippines- As we all know the Super Typhoon locally dubbed as Yolanda has struck the Philippines last Friday,(November 8, 2013) and ever since it has hit the shores of this island, a lot of damages has been incurred all throughout the country. Most of the establishments and businesses has been affected and most of all, a lot of families and individuals has been devastated by this storm. 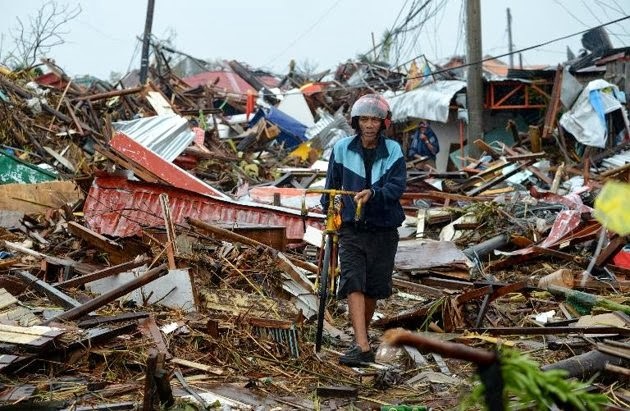 And here are some of the reports after the devastation:Survivors of a super typhoon that may have killed more than 10,000 people in the Philippines were growing increasingly desperate for aid Monday, as authorities struggled to cope with potentially the country's worst recorded natural disaster. Rescue workers appeared overwhelmed in their efforts to help countless survivors of Super Typhoon Haiyan, which sent tsunami-like waves and merciless winds rampaging across a huge chunk of the archipelago on Friday. Haiyan, which moved out of the Philippines and into the South China Sea on Saturday, was bearing down on Vietnam early Monday, authorities said. Although the storm had weakened at sea, more than 600,000 people were evacuated in Vietnam ahead of its expected landfall, which NASA predicted at around midnight GMT Monday. Forecasters said the typhoon will likely strike Vietnam as the equivalent of a category-one hurricane -- the weakest on the one-to-five wind-speed scale -- or even a tropical storm. 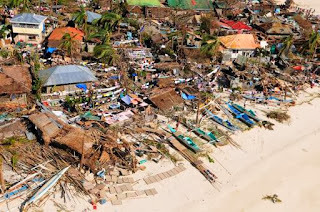 In the Philippines, up to four million children could be affected by the disaster, the United Nations Children's Fund warned Sunday. This is our time to help each other,as one family who is living in this world,it is our time to reach out the poor souls that has been affected by typhoon Haiyan. Here in Tekkie Pinas,we are willing to help and accept donations of any kind for those that are affected by this disaster. Do contact me through email at markanthonywagan@gmail.com so that i can assist you, my dear followers on how we can lend a hand to those that are affected.